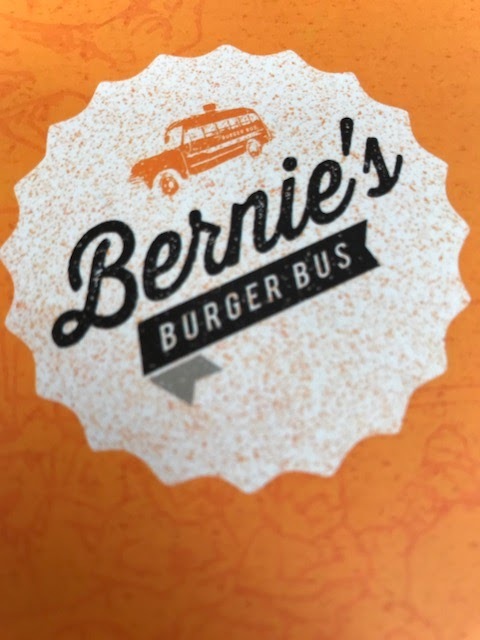 We went to Bernie's Burger Bus on a Wednesday. Apparently, Wednesdays are $3 Sliders and all day Happy Hour. 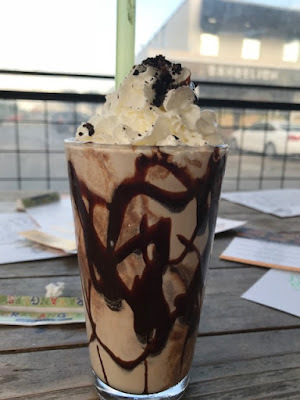 Of course we start out with Chocolate Shake, yummy! Left is mini Kindergartner, has blue cheese with burger and onion and bacon. Oooo, so good. 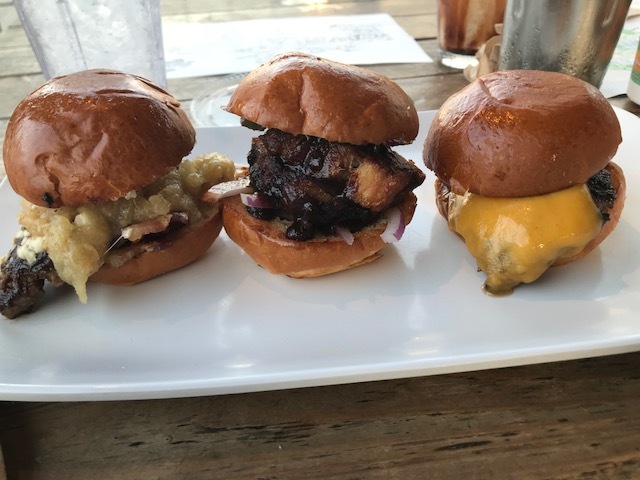 The middle is the pork belly burger. Double Ooooo, so good. The far right is the cheeseburger. I should've started that one first. Or rather I didn't need that one, so next time, I probably should've done 2 mini sliders and be done. That was a lot of food. I picked up a few fries from my friend's plate and on top of that, it's a lot of food. Wednesday is the day!